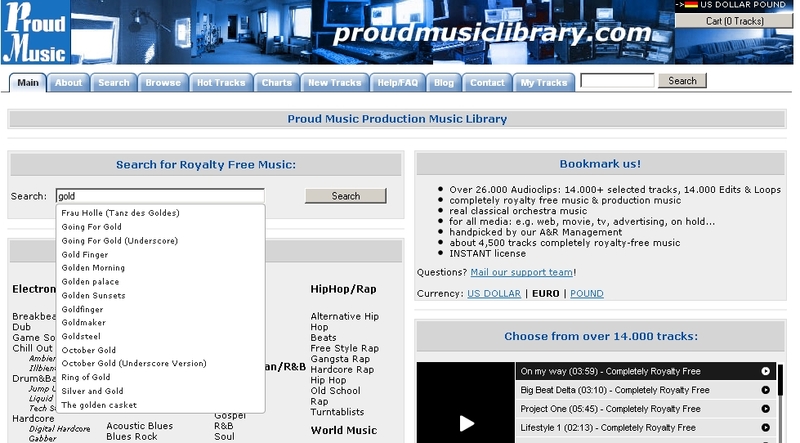 Search made easy through an autocomplete feature in the Proud Music Library! We recently introduced a new feature on our web page, that makes finding the right track on a return visit a lot more convenient: Track names are now automatically completed in all the search boxes on our web page. If you enter a part of a track name, we will present you a dynamic list of matching track names through our new ajax-live search feature. Previous Previous post: How many tracks does the Proud Music Library contain?